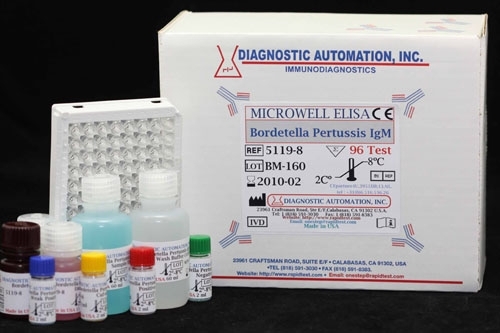 Bordetella Pertussis IgM ELISA kit | CE-GMP | 818-591 3030-USA. 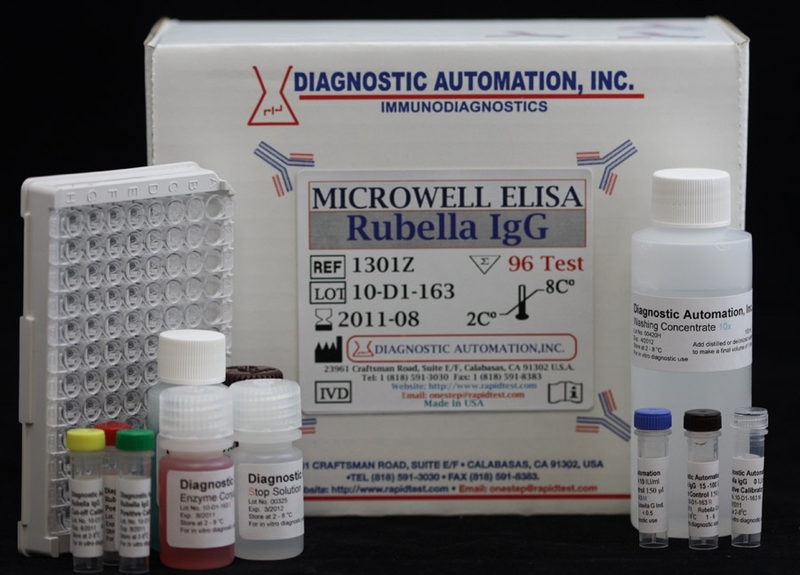 The Diagnostic Automation Bordetella pertussis IgM Antibody ELISA Test Kit has been designed for the detection and the quantitative determination of specific IgM antibodies against Bordetella pertussis in serum and plasma. 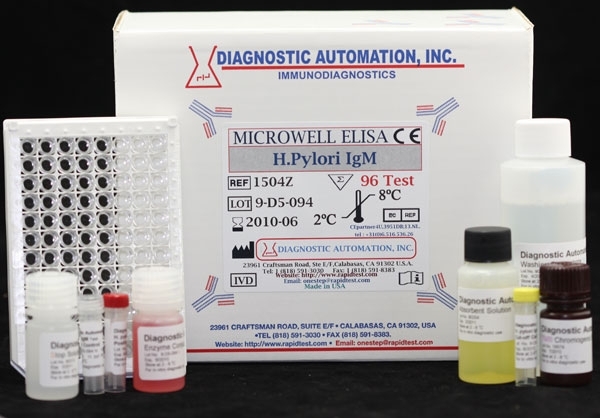 Further applications in other body fluids are possible and can be requested from the Technical Service of Diagnostic Automation. Whooping cough is a disease of the respiratory tracts which is caused by Bordetella pertussis bacteria. It is transmitted by airborne infection. The gramnegative Coccobacillus produces a series of biologically active molecules. The different compounds appear either during the pathogenesis or during the process of immunization against pertussis and show different effects. A characterisation has been made for the pertussis toxin (pt), the filamentery haemagglutinine (fha) and different lipopolysaccharides (lps). Pertussis shows a high rate of transmission and can cause severe diseases, especially for very young children. 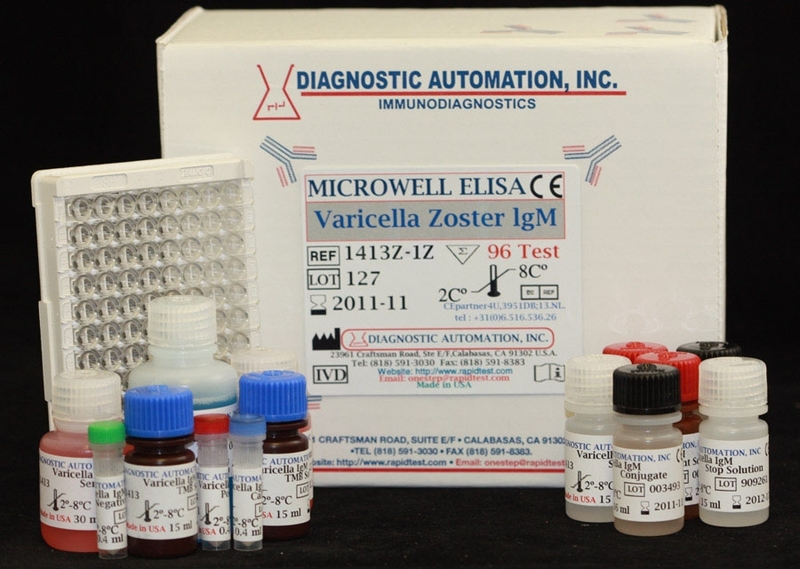 The serological response following pertussis disease or immunization with pertussis vaccine has been measured with agglutination assays, precipitins, complement fixation and ELISA assays, in which Bordetella antigen (containing toxin, FHA and LPS and standardized in U/ml) is bound to a solid phase support, are sensitive, easy to perform and can be used both to determine seropositivity with a single serum and to indicate recent Bordetella infection by determination of IgM and IgA. 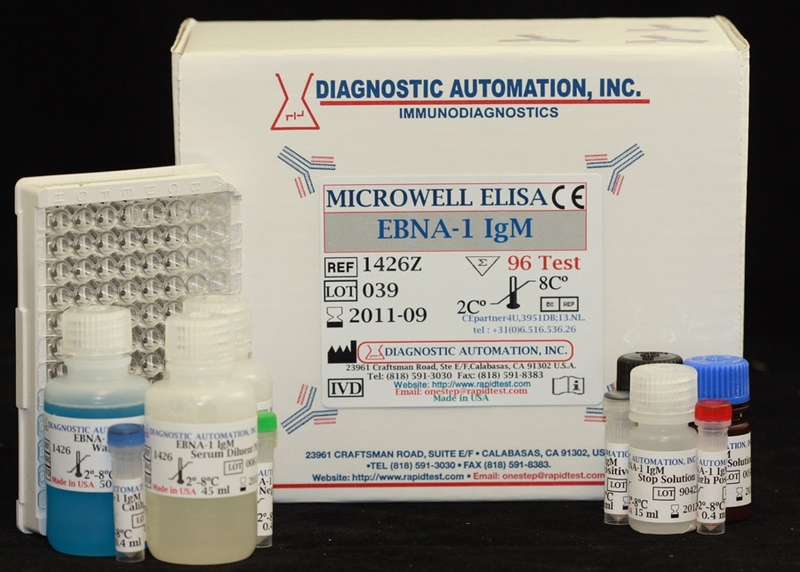 The Diagnostic Automation Bordetella pertussis IgM antibody test kit is based on the principle of the enzyme immunoassay (EIA). Bordetella antigen is bound on the surface of the microtiter strips. 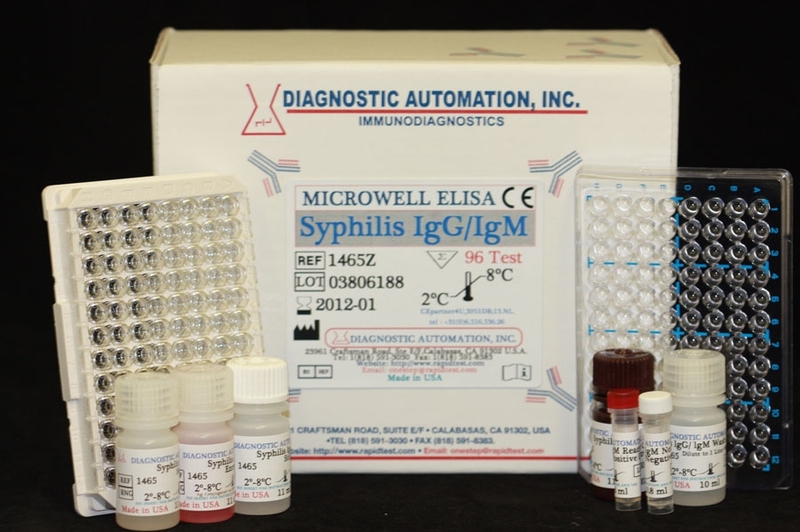 Diluted patient serum or standards are pipetted into the wells. A binding between the IgM antibodies of the serum and the immobilized Bordetella antigen takes place. For additional details please refer to the instructions for use.